So, I recently turned 30, yep the 3-0. However, my best friend (Brenda) is about to turn 31 and we wanted to do a bit of a girls trip to celebrate and NO girls trip is made without our other best friend Meg (no where near her 30s). 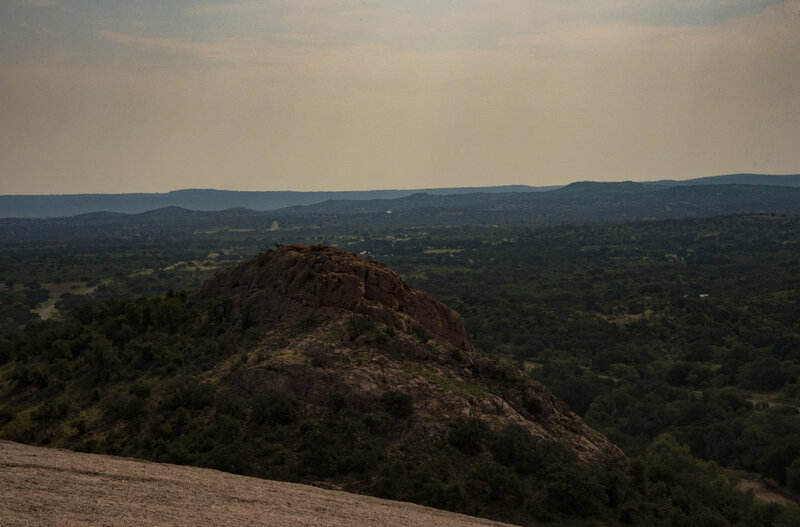 We packed up and headed south to Fredericksburg aside from the wineries, and wine, and food, and WINE....we knew we wanted to go for a hike at Enchanted Rock....We are adults after all and it seemed that adults would take time from wine to go for a hike. I researched the area and decided that we should just shoot for the trail that sent us to the peak and, about a 45 minute hike. After a fun night out, we got our buns out of bed, had a bit of German pancakes and headed out for the rock. We arrived to the park early enough to beat the crowd. We signed in, parked the car and headed up the rock. Mind you, I recently hiked for two days at Rocky Mountain National Park, CO, this rock brought back memories of that....super steep, small steps and heavy breathing!!!! (and this was without a 40lb pack) We felt the wine from the day before, but it was well worth it once we hit the top. We took a moment, to catch our breath and the scenery of what they call the Texas Hill Country. We hiked around and found a little cave to go into, Meg was not down, so she waited for us to come out the other side. We finally made our way back down with plans to consume a cheeseburger and an ICE cold beer! 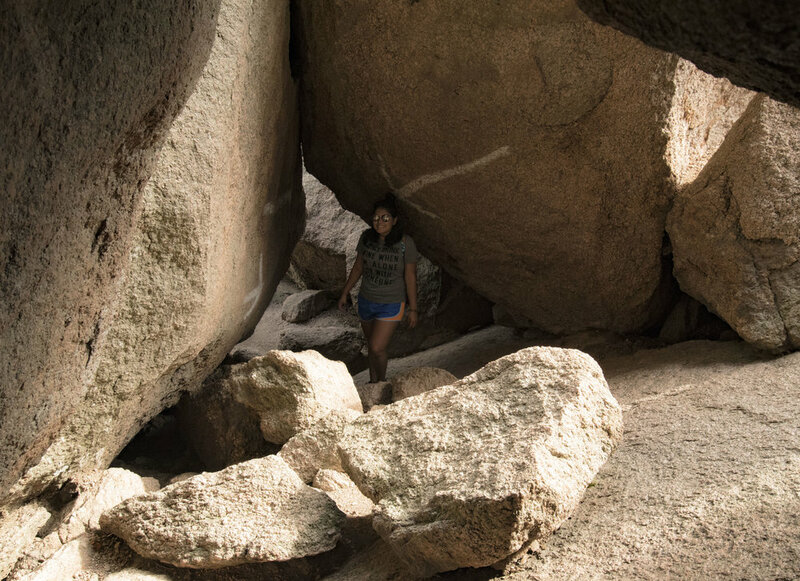 We finished out our weekend in a pretty chill way, shopping on Fredericksburg's Main Street, and hit a Winery or two, but this hike was by far the most fun part of the trip! There is just something about getting out and about and being able to check out a new place. We had a great time celebrating Brenda leaving 30 and starting 31. To be honest we all are pretty nervous about our 30s (for me I am not where I thought I would be by this time) but I have really great friends and have the ability to explore new places, and there is not much to complain about there :). I heart you B! Happy 31 and thanks, Meg, for making the weekend super fun!